We've been moaning for a while now that we want fitness trackers, smart shoes and connected sports clothing to stop spewing data at us and tell us how to train better, sleep better and actually get fit and healthy. It seems that sports and wearable tech brands are listening as a SXSW 2016 panel tackled this very problem. But just because they've identified where fitness tech is headed, that doesn't mean that we'll get there any time soon. Here's what Under Armour, Garmin and BSX Athletics had to say about the challenges of making data useful at this week's SXSW Interactive. All three panelists agreed that we're moving - albeit slowly - from simply logging data to turning the data into meaningful, actionable information. It's one of the biggest challenges in the industry, especially now that so many wearables are out, on people's wrists, collecting, managing and displaying data. "What I see is now that now that we have, readily available, all this data about ourselves. What in the world does that mean? What's cool in the fitness world and the outdoor world, we're finding a lot of meaning in different ways. But this is definitely a gap that I'm excited to see a lot of innovation, in the next few years. Our goal is to transition this data into meaning. "For instance, with calories, we're starting to see some of these companies come up with nutrition solutions, so if you're training for a marathon, you can see your plans, the activities that you've done over the past few days and the calories spent on that, nutrition companies can now take that and tell you what you should eat, knowing what's coming in the future, what you've done in the past and hopefully regulate that a lot." Abhi Bhatt, director of product for wearables at Under Armour, agreed with Gunkel that fitness wearables and apps need to help users more. But he also acknowledged that it's not an easy thing to achieve. Considering Under Armour now has 160 million users across Endomondo, Under Armour Record, MapMyFitness and MyFitnessPal, it has more urgency than most to get this aspect right or its users, many not paying, could leave for something more useful. "It's a hard problem. There's a reason there aren't a lot of insights out there," he said. "We announced a partnership with IBM. We have got so much data from our users and working with the Watson team, we're hoping to cull interesting insights for each one of us. That's where goals come into play, each of us has different goals around what we're trying to do. We can align goals to what you really do and then bring back those insights. "If you start to use Under Armour Record everyday, those insights come through, on a macro level - things like, someone your age works out this much, you've been working on that much, what does that mean? Or helping you to accommodate nutrition. That's where we try to look at this holistic picture of you, your sleep, your daily activities, your nutrition and try to formulate a picture of what condition you are to be doing anything." That's according to Dustin Freckleton, co-founder and president of BSX Athletics, an Austin, Texas based company which we first heard about when we looked at the tech pro athletes are using when we wrote about Southampton FC's Moneyball revolution. Freckleton points out that we are graduating from "passive data loggers" to "examples of intelligent, predictive, technology driven companions" but that any insights begin with measuring the right data for the right person. For instance, one thing that BSX Athletics can do is measure effort levels of athletes by measuring blood oxygen levels with LED optical sensors. "The predictive power is only as good as the information. Garbage in, garbage out," he said. "I think that for athletes we're going to see a move towards bio signals, looking inside to see what's happening at a biological and physiological level. "One of the things we're excited about is a partnership we have with USA Cycling and IBM, working with a women's track team, helping to bring greater insights into their training. We're looking at beyond the raw data to analysing actionable piece of information that they can take away, at real time. I think that's critical, to get the information at the time of decision making, not afterwards when you're sitting at your computer or speaking with your trainer." 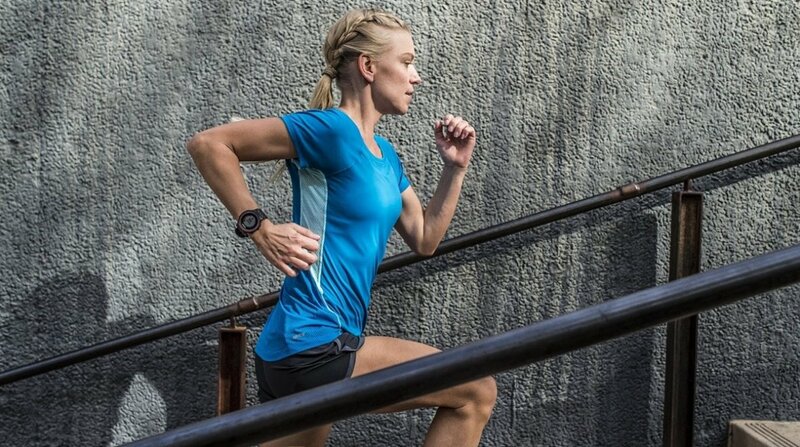 Let us know in the comments what kinds of data you want wearable tech and smart sports clothing to track and what kind of insights you want to see in your fitness apps.